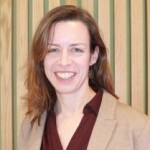 Susan Nicolai is Research Manager and Fellow at the Overseas Development Institute on the Development Progress project, which aims to better understand what works in development and why. Her research interests include governance, service delivery, education, security and accountability. Susan has previously worked with the UN OSRSG on Children and Armed Conflict to produce UN General Assembly reports and a broader assessment of progress in the Machel Strategic Review. She has undertaken research with UNESCO IIEP in relation to education and recovery processes in the Palestinian Territories, Timor-Leste and more broadly. In addition, she has served as the Global Education Cluster Coordinator on behalf of Save the Children, managing inter-agency coordination of emergency response worldwide. She has extensive experience in humanitarian contexts and with conflict affected and fragile states.